Hello! My name is Ashima. 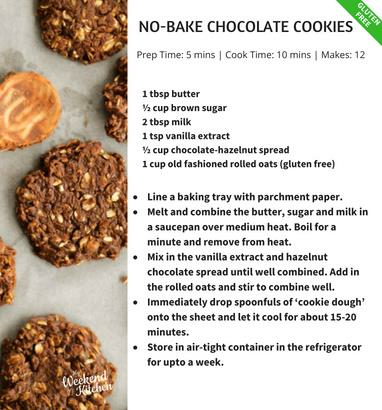 Last year I discovered a “new me” as I embarked on a journey of rediscovering food as medicine. Free of all ailments, just through naturopathy. 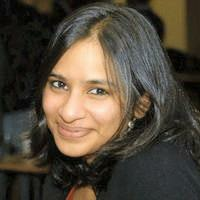 I share with you tried and tested simple home remedies and recipes to tackle common illnesses. Cancer affects millions of people every year. According to World Health Organisation, Cancer is the 2nd leading cause of death worldwide. Nearly 1 in 6 deaths globally is due to cancer. In 2012 alone there were 14 million new cases of cancer and they are likely to increase by 70% in the next two decades. Menopause is usually a natural condition that all women experience as they come to the end of their reproductive period. The word Menopause is a combination of two Greek words: Mens meaning monthly and Pausis meaning cessation. Hair loss in women is common during menopause and this is said to be primarily because of hormonal imbalance. During menopause, the production of estrogen and progesterone falls and androgen levels in the body go up. These factors lead to hair fall, less growth of hair and growth of facial hair, etc. What is considered normal is losing 50-100 strands a day. More than that becomes a cause for concern. Other reasons for hair fall include stress, improper diet, lack of sleep or certain medication. There are, however, several home remedies for such a problem. One simple remedy involves the use of egg which is a rich source of sulphur and has additional elements which promote hair growth - phosphorous, selenium, iodine, zinc and protein. Take the white of one egg and a teaspoon of olive oil. Mix the two well to get a smooth consistency. Then apply the mixture to the hair and massage well into the scalp. Leave the mix on for 15-20 minutes before rinsing it well with a mild shampoo. Dry, cracked, and parched lips are called chapped lips. There are many reasons why chapped lips may occur. They may occur due to cold and dry winter weather, heat and sunburn, vitamin deficiencies, allergic reactions, or when you lick your lips too often. Lips are amongst the most fragile areas of the face. Our lips are exposed to sun, wind, extreme temperatures, and other irritants all through the year and they don’t have any oil glands to keep them soft. While our skin contains melanin that provides protection agains the sun, lips lack that as well. Our lips really need protection from inside as well as outside to keep them soft, moist, and kissable! Dry lips occur due to dehydration. It is very important to keep yourself hydrated by drinking lots of water. Drink as much that is comfortable for you. If you spend more time outside or doing strenuous work, drink up more water. I alway keep a water bottle with me and keep sipping on it during the day. You can also hydrate your skin by eating foods with high water content like watermelons, cucumbers, zucchini, etc. Lack of vitamin B can result in chapped lips in some people. Try to include more food that is rich in vitamin B in your diet. Use whole grains instead of polished ones, eat more fish, and leafy green vegetables. 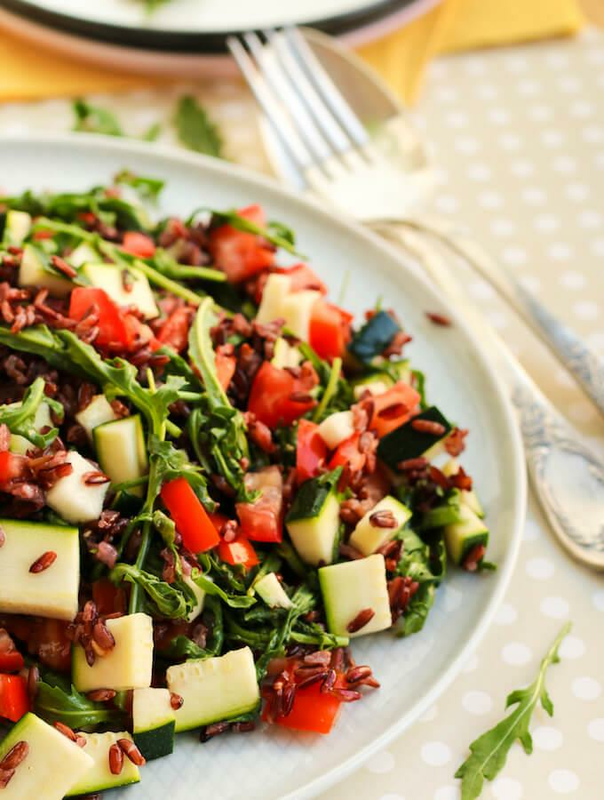 This wild rice and arugula salad is a great combination of whole grains and leafy greens. Whole grains are rich in Vitamin B which is stripped off from their skins when they are polished. Seeds and nuts have essential fatty acids to make skin and lips soft and supple from inside. 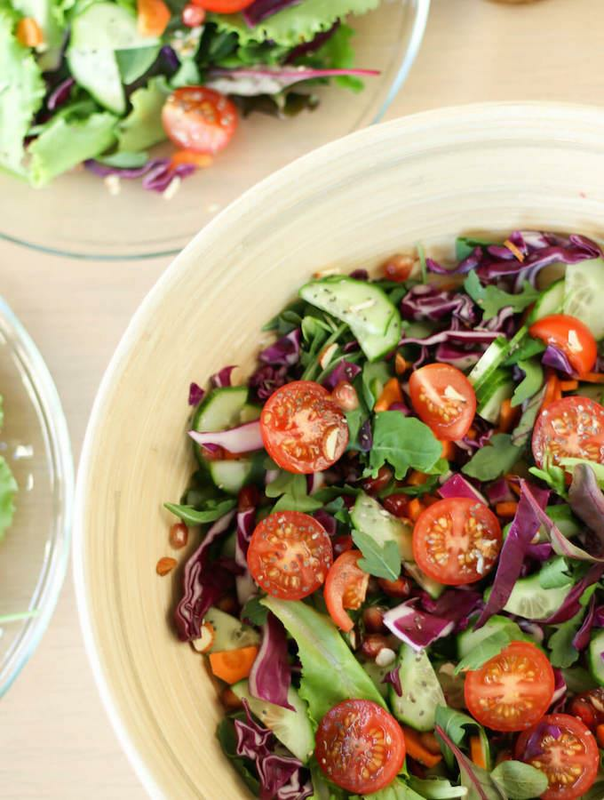 Make a colourful salad like this raw vegetable salad and sprinkle with lots of seeds and nuts. Soften and heal chapped lips with a restorative lip balm. Natural lip balms based on beeswax or cocoa butter are also great for curing dry lips. 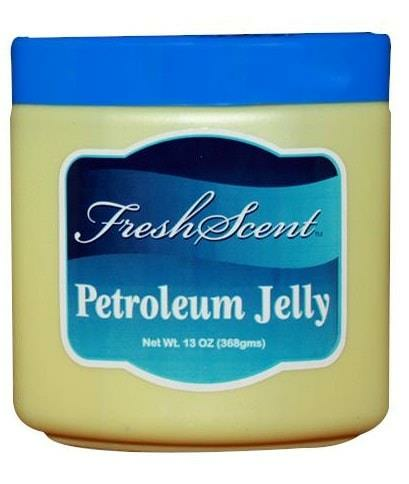 Petroleum Jelly is also an effective cure. 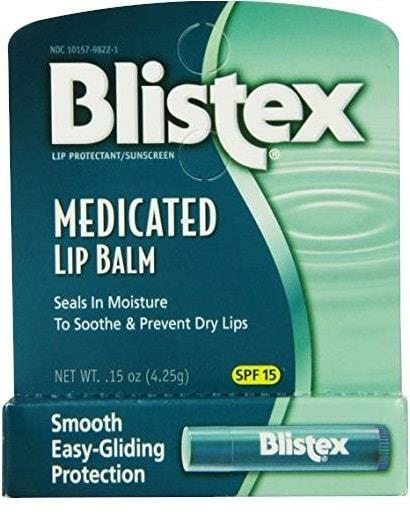 Apply at least 4-5 times during the day to protect your lips from the outside elements and help them recover. An ancient Indian natural remedy for dry and chapped lips is ghee or clarified butter which softens and moisturises chapped lips. Apart from providing the protection from inside and outside to cure chapped lips, here are some handy tips you can follow to prevent chapped lips from occurring. 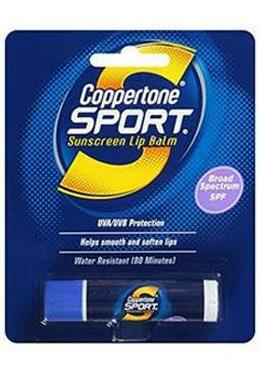 Apply a sports lip balm with SPF of 15 or above before heading out in the sun. Avoid licking your lips too often. The saliva only provides a momentary coating of moisture. It dries out quickly, leaving lips drier than before. Apply lip balm as often as you feel the need. Avoid flavoured lip balms: Children (and often adults too!) tend to quickly lick flavoured lip balms, which may cause chapping lips. So stick with natural, no flavour lip balms. Usually a little care can take care of chapped lips but if your lips remain chapped after 2 to 3 weeks of you taking care of them, then you should see a doctor as it may be an allergic reaction or an indication of some other condition. If you have cracks at the corners of the mouth, or whitish patches in your mouth, it may indicate a yeast or fungal infection in which case medication is required. Wish you health, soft, and supple lips!